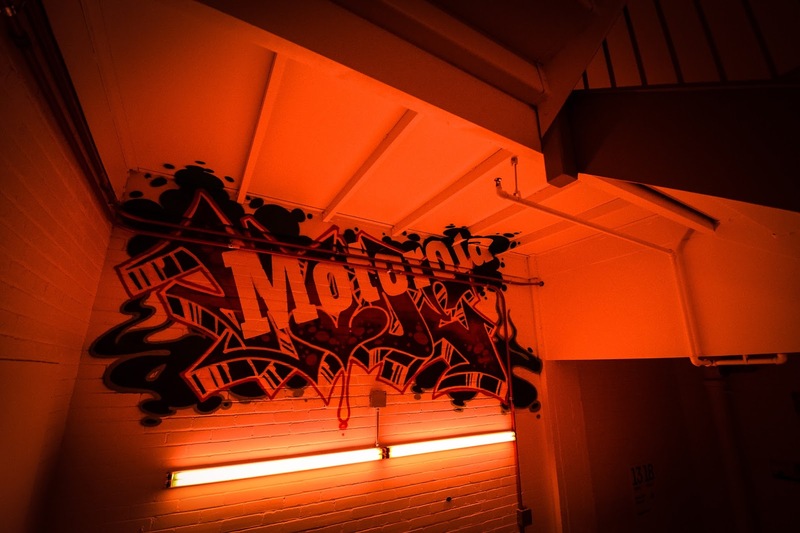 We’re in a very exciting time at Motorola Mobility. Our recent devices are delivering unprecedented value to consumers and have had a great reception in the market, with Moto G officially the best selling smartphone in our history. Moto E is meeting with similar enthusiasm, selling out in India on its first day and gaining notice as a true game changer in the industry. We shipped 8.6 million devices in the second quarter, up 130% from last year’s Q2 and more than 30% from last quarter. People are buzzing about the upcoming Moto 360 watch, and we have many more amazing products in development. We’re excited about our new home in Chicago’s Merchandise Mart, and looking forward to the close of the Lenovo acquisition, and all the possibilities that it will create for us. It would be easy for us to take a breath and pat ourselves on the back, but I believe this is the perfect opportunity to make some changes to our leadership that will help us to continue building on this success. Charlie Tritschler is now Senior Vice President of Product Management, overseeing all of our product development, product marketing and ecommerce efforts. Since joining our team a little over a year ago Charlie has been one of the leading forces behind Moto G and Moto E.
Each has built strong distribution partnerships and grown our share in incredibly competitive markets around the world. Our products depend on powerful and integrated marketing and branding to cut through the clutter and capture people’s imaginations. Adrienne Hayes, SVP, Marketing and Communications, will lead a newly combined marketing and communications organization that will be responsible for our brand image, advertising and reputation globally. In her year with Motorola Adrienne has successfully launched Moto X, Moto G and Moto E globally, and revitalized our company’s voice and social media presence. These changes ensure that our leadership team accurately reflects our priorities and organization structure, and put us in the best possible position to continue growing our success. Congratulations to all the leaders in new roles, and my thanks to everyone who helped bring us this far. You can find more information on our executive team here. As a product manager at Motorola, I spend most of my time thinking about two of our experiences—Motorola Connect (the Chrome extension that allows you to send and receive messages and calls from your desktop ) and Motorola Migrate (the app that lets you easily transfer your phone’s information from an iPhone or Android to a Motorola device). But I'm using a ton of Motorola features on a daily basis because Moto X is my day-to-day smartphone. Here’s my #MotoTip as part of this week’s Download, which is all about getting the most out of trusted bluetooth devices. I use it all the time while I commute. It makes it easier to go about my day without the hassle of unlocking my phone all the time, while keeping my phone secure when I’m not connected to a trusted device. Exactly how do you set up a trusted device? When you first set up a new bluetooth connection, you’ll be prompted to make it a “trusted bluetooth device.” But if you missed it the first time around, it’s really easy to set up. Under Settings, go to “Security” and tap on “Trusted Devices.” Simply opt into the feature, confirm your password, and then select the devices you trust to keep your phone unlocked. Now you will no longer need to enter a password to unlock your phone when connected to the device. Once you disconnect from it or when your phone is too far from the device to connect, the phone will again require the password settings you’ve set up to unlock, so that your personal information stays secure. I really rely on this feature, and I think you'll like it, too. A phone should be as unique as you are—not only in the design of your device, but how you use it. Last year at the All Things D “D11” conference, Regina Dugan talked about new digital tattoo technology that would make it easier to unlock your phone. Now the moment is here: We’re excited to see this new technology brought to life for Moto X by Google’s Advanced Technology and Projects group and VivaLnk Inc.
Made of super thin, flexible materials, based on VivaLnk’s eSkinTM technology, each digital tattoo is designed to unlock your phone with just a touch of your Moto X to the tattoo, no passwords required. The nickel-sized tattoo is adhesive, lasts for five days, and is made to stay on through showering, swimming, and vigorous activities like jogging. And it’s beautiful—with a shimmering, intricate design. It’s another step in making it easier to unlock your phone on the go and keep your personal information safe. An average user takes 2.3 seconds to unlock their phone and does this about 39 times a day—a process that some people find so inconvenient that they do not lock their phones at all. Using NFC technology, digital tattoos make it faster to safely unlock your phone anywhere without having to enter a password. You can buy the digital tattoos in packs of 10 on VivaLnk.com. Former editor at Engadget Darren Murph joins us to take a deeper look inside Motorola’s present and future. Over the next several weeks, he will be sharing behind-the-scenes stories from the people that are building the company’s future. Until recently, those in search of their first smartphone faced only a couple of options, and none of them were particularly thrilling. They could either opt to carry on using a flip phone or feature phone, devoid of critical features such as a web browser, access to a thriving app store, and turn-by-turn navigation. Or, they could turn to an antiquated and feature-stripped “smartphone,” many of which tested the very definition of the term. The third option — out of reach for many — was to cobble together well over $500 for a top-tier, premium smartphone. Thankfully, we no longer live in a world where you’re forced to either stretch your budget or continue to live without one of the world’s most transformative technologies. 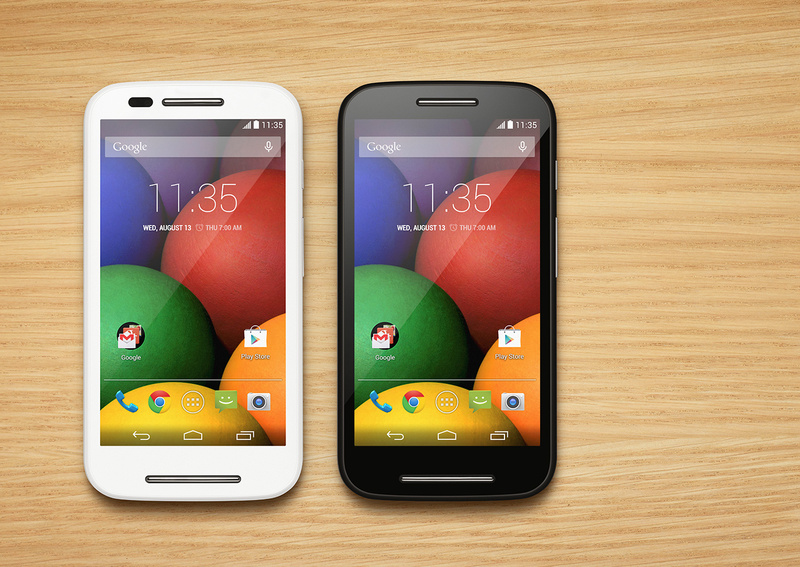 Earlier this year, Moto E was revealed to a global audience. It was a project many years in the making, and according to an interview I conducted with VP of Product Marketing Steve Sinclair, it was a phone that was built very deliberately. 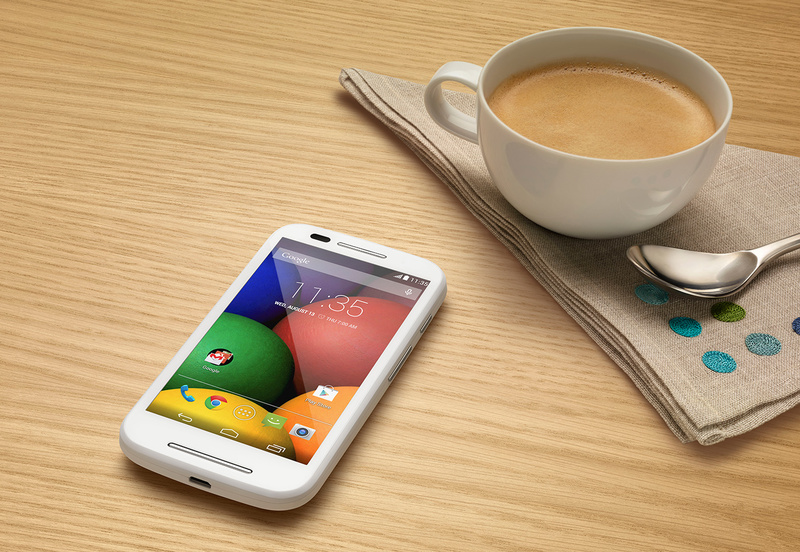 At $129 with no subsidization (nor strings attached), Moto E is amongst the most affordable smartphones on the planet. But the true allure of the E goes beyond the price — it’s the unprecedented performance at its price that makes it special. I’ve witnessed entire swaths of society transformed by gaining access to broadband Internet for the first time, and in a similar vein, the price point of the Moto E stands to enable the next billion to get connected on a device that punches above its weight. Sinclair stated that Moto’s decision to build the E was based heavily around research. “We knew the market was going in this direction,” said Sinclair, “as people were migrating from feature phones.” In studying what customers at all levels were interested in, Moto’s team found that display quality were high atop the list. The challenge, of course, was to include these features on a phone that wasn’t just affordable, but enjoyable to use. Perhaps the most critical differentiator for the Moto E is the power that it possesses. For years, sub-$200 phones were built with old internals and substandard materials. In a nutshell, they paled in comparison to high-end flagships, and left a sour taste in the mouths of many buyers. Too many corners were cut to achieve a rock bottom price, and the user experience suffered mightily. Motorola’s team wanted to make sure such a scenario wouldn’t unfold with the E.
As Sinclair explained to me, each Motorola handset — the E included — has to endure a grueling process before it’s deemed market-ready. A total of 45 key performance indicators are evaluated, with engineers doing everything they can to shave milliseconds from app launch times to the time it takes to answer a phone call. Even with the Moto E, the team insisted on finding a way to include an all-day battery — a cell that could survive Moto’s internal mixed-usage test for 24 straight hours. When asked about driving forces behind Moto E, I urged Sinclair to opine on how a mass market-ready phone could impact societies around the world. Personally, I’m intrigued by the notion of millions upon millions of people suddenly being able to afford a smartphone that launches them into the digital economy, and Sinclair seemed to share in that excitement. To quote Sinclair: “We really think that mobile access to the Internet and everything that the Internet brings — education, job opportunities, social connections, entertainment – should be available to everyone. Our hope is that we’re delivering that kind of freedom and access to people. They could find work, or they could sell something they've built, or stay in touch with their daughter who left home for the first time – that's a powerful thing, and not everyone can afford the highest end device to pull that off." We’re @motorola on Twitter -- tell us what you think! Mark Rose is stretchin’ his fingers. He’ll be typing fast and furious in a Google+ Ask Me Anything (AMA). Join Mark one week from today at 2 pm CT for a 30-minute chat where he’ll answer your questions live in a Google+ event. Mark is our product manager focused on making your phone useful to you wherever you are. Specifically, he leads product management for Quick Capture and Motorola Assist, the app that knows when you shouldn’t be bothered and that can read messages aloud when you’re driving or at home. In a meeting? The app can silence your phone. Driving to work? It can tell you who’s calling or read your texts out loud. Want to take a quick photo? Pull out your camera and twist it to pull up the camera app in a flash. Mark has been in product management for 15 years and is eager to take your questions! Ask him anything about Assist, share your suggestions, delve into his experience, or even chat about his love of coding, building apps, and the beach. Join us next Thursday, 7/17, at 2pm-2:30pm CT. Check out the Google+ event page and take part in the conversation by commenting. Connect Gets a New Look and a New Ring Feature - Our latest update to Motorola Connect brings a sleeker more beautiful interface (and new icon!) to the app that allows you to see text messages and calls coming into your Connect-enabled phone on your computer’s Chrome browser. As always, you can read and respond to texts using your computer’s keyboard and know who’s calling before you decide to reach for your phone. But now you can call your phone right from your desktop—for all those times you lose your phone in the couch cushions. We’ve also moved the app to your app drawer to make Connect easier to find. Android™ 4.4.4, KitKat® Begins Rolling Out - We’ve begun rolling out Android™ 4.4.4, KitKat® to our phones! This latest update includes all of the goodies of 4.4.3—such a new dialer, the ability to pause during video recording, and enhanced camera image quality—and includes enhanced security for OpenSSL. We just started rolling out in Brazil and India for Moto G; in Brazil, France, Canada, and Asia Pacific for Moto E; in the U.S. for DROID Ultra. We are always working to deploy the latest software as fast as possible and expect the update to come to many more phones soon. Check out the software updates page to see if your phone has been upgraded yet. It’s practical. It’s stylish. It’s as old as time. From sundials to wrist watches, time was meant to be told round. And that’s what inspired us when it came to creating Moto 360, a classic timepiece powered by Android Wear coming later this summer. Hear more about the inspiration behind Moto 360 from Lior Ron, product lead for the watch. Sign up to stay up to date on the latest Moto 360 news. Warm rays, long days, and no school—what better reasons to celebrate summer for those of us in our hottest seasons. That was the thinking of Moto fan Alex Pasquarella who was inspired to share some Motorola-themed wallpaper designs to help people personalize their phones. Alex kicks off a new series: #MotoFriends, in which we spotlight you, our users, and the cool stuff you do. Alex is a designer who creates awesome phone wallpapers for his website. He’s made a number of Moto-inspired styles to deck out your phone (download his Moto Pack, Series 1, Series 2, and Series 3). Now he presents some beautiful Motorola summer wallpapers to dress your Moto phone for warm weather.